24 of 1.5 Inch Chip Brush Disposable for Adhesives Paint Touchups Glue 1.1/2"
Red Line EZ50 Powder Coating Cup Gun - BRAND NEW! Red Line EZ50 Powder Coating System. 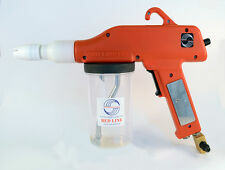 Red Line EZ50 Spray gun. Full adjustable up to 50 KV directly on the back of the gun. Light weight and perfectly balanced gun for optimum comfort. 10' ground cable with connecting clip. 4 out of 5 stars - Red Line EZ50 Powder Coating Cup Gun - BRAND NEW! 10 product ratings10 product ratings - Red Line EZ50 Powder Coating Cup Gun - BRAND NEW! This powder coating gun will last you for years. How Tribo powder coating gun works Suitable powder type: Tribo. Powder coating with Nordic Pulver NP-11 Powder Coating Gun System || Pulverbeschichtung - YouTube. 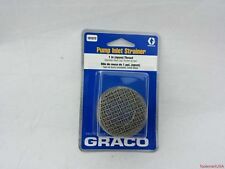 Universal Spray Guide Accessory Tool For Paint Sprayer 7/8"
Spray Guide Accessory Tool For 7/8" Paint Sprayer Universal. The Spray Guide Tool is used to quickly spray edges and trim. High quality Universal Spray Guide Tool. 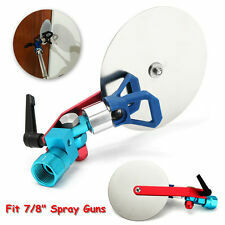 1 X Universal 7/8" Spray Guide Tool. Suitable powder type: Tribo. This is very similar to dust sticking to the screen of your computer or tv. Powder sticks securely and part can be shaken before curing. Powder coating with NordicPulver NP-09 powder coating gun - YouTube. Use Dip Release to create a barrier between your tires and Plasti Dip to allow for easy removal of overspray. Apply a small amount of Dip Release to a dry microfiber towel. 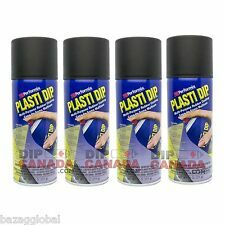 Plasti Dip is a removable rubber coating made to protect whatever surface you're spraying it on. Durable while it's on, easily removed when you're done with it. Key Features. Installation instructions not included, Tool not included. We do our best to resolve any issue. We will do everything we can to give you a satisfying solution. We promise we will do our best to serve you. 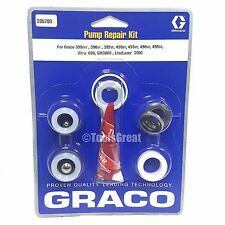 This is a great kit for all of those precision jobs with small, hard to reach holes. You will receive 175 assorted tapered plugs to fit any hole up to 3/8", as pictured. Benefits of our premium silicone products include. With candy top coats the color can also vary based on thickness. Salt Spray Results: 1,000 Hours. This 124 piece high temp masking kit it is a great kit for anyone getting into powder coating or custom painting. This kit has everything you need to get started right away. Benefits of our premium silicone products include. Make your next finishing project a success with this 160 piece high temp silicone plug and cap kit. The tapered design of the stopper style plugs allows them to fit a variety of different hole sizes. Benefits of our premium silicone products include This is a great kit for all of those precision jobs with small, hard to reach holes, studs, pipes, fittings, etc. Heat proof up to 600°F. Will not crack, shrink, harden or break. This is the only Gloss Black you'll ever need. Salt Spray Results: 1,000 Hours. This Penny Vein is Rated for exterior and interior use! Polyester TGIC. Specific Gravity: 1.54. Red Line EZ50 EZ100 Extra Spare Cups for Powder Coating Gun! Pack of 3! Lid color will be YELLOW. Raail drop-in tints colour your Raail ProTek clear base , Clear Plasti Dip, Halo EFX Real Clear, and anything else with beautiful results and endless creativity. One full drop-in tint per gallon for full color saturation. "PERFORMIX". Plasti Dip is a multi-purpose, air dry, specialty rubber coating. It has been tested and proven in temperatures from -30°F to 200°F. PLASTI-DIP MULTI-PURPOSE RUBBER COATING! MFG #11603-6. Powder Keg Mini Powder Coating Cup Gun - BRAND NEW! This is a self contained system that does not require a power source! All you need is a compressed air source. 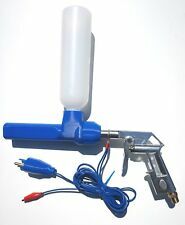 Powder Keg Mini Powder Coating Gun. This gun is incredibly simple to use, easy to clean and can handle any type of powder. Salt Spray Results: 1,000 Hours. This color can be applied directly to stainless steel tumblers with no basecoat needed! Specific Gravity: 1.2-1.8. Video will open in a new window. 2 Plugs (#13.5 Size) - 2.437" Bottom X 2.953" Top X 1.375" Long. Benefits of our premium silicone products include You will receive Will not crack, shrink, harden or break. Staining wood 1 or 2 ML per 4 ounces of acetone or lacquer, or linseed oil, or clear varnish carrier must be oil base Dyes are very strong. With candy top coats the color can also vary based on thickness. Salt Spray Results: 1,000 Hours. Specific Gravity: 1.2-1.8. Salt Spray Results: 1,000 Hours. Benefits of our premium silicone products include 2 of every size cap (16 total) to cover any size stud up to 3/4". 2 of every size plug (16 total) to fit any size hole up to 3/4". Will not crack, shrink, harden or break. Benefits of our premium silicone products include Heat proof up to 600°F. Will not crack, shrink, harden or break. Salt Spray Results: 1,000 Hours. 25-50 Lb boxes are also available. Specific Gravity: 1.52.